The short film BID, from director Raphael Bittencourt, goes participating in film festivals around the world. 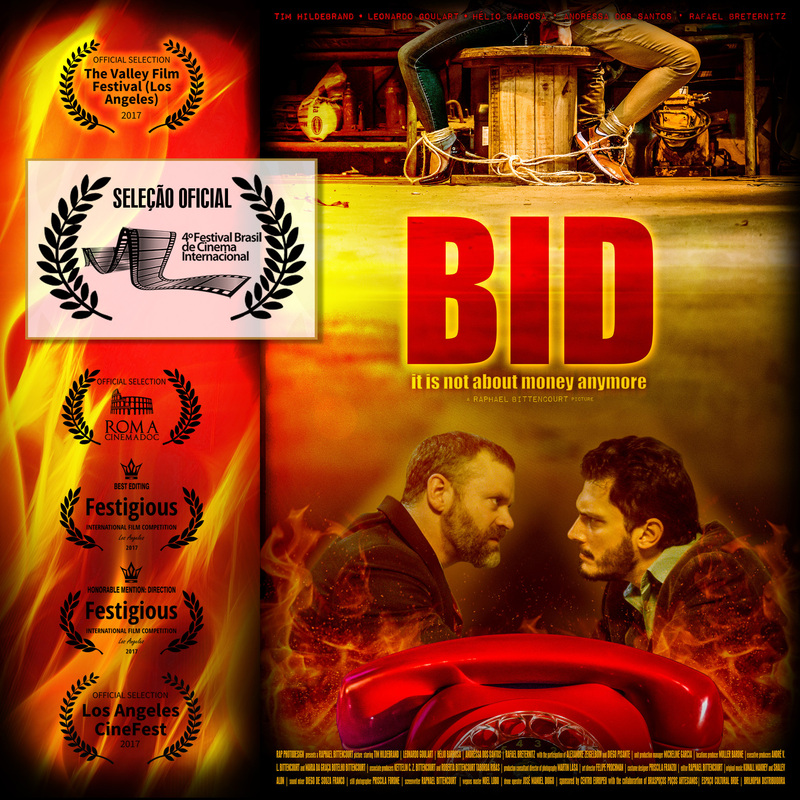 The short film BID, written, produced and directed by the Brazilian director Raphael Bittencourt goes on fire during it’s festival run. The production, was selected in the 4º Festival Brasil de Cinema Internacional. The festival happens in Rio de Janeiro, Brazil from Oct 17th to 21st, 2017. It will be not only the Brazilian premiere of the film, but also the South American premiere. Before that, last month BID was also selected in The Valley Film Festival, in North Hollywood, Los Angeles. It will be screened at the Laemmle NoHo7 on 10/29/17 at 06:00 PM. The film is a proof of concept of a feature, and has been generating lots of attention for the project.